Size 4 - $40.99 Small - $40.99 Only 8 left! Medium - $40.99 Only 3 left! After watching a few episodes of the Pokémon anime series, some kids really want to become like Ash. They want to travel to new locations, meet every Nurse Joy in the world and catch ‘em all. They want to hang out with Brock, they want to defeat Gym Leaders and they want to make Professor Oak proud of them. Other kids just want to be like Bulbasaur so they can have a giant green onion on their back and shoot leaves at their enemies. It might be kind of a weird dream, but we think it’s great to encourage the creativity and passion of children at a young age, even if their dreams are a little left of the dial. That’s the very reason we carry this Bulbasaur Pokémon costume hoodie! 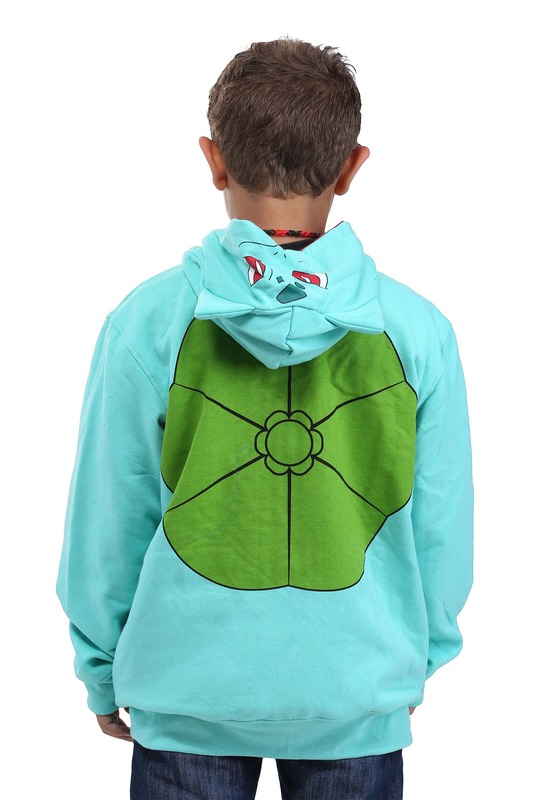 The officially licensed costume hoodie has a zip-up style and is made of a soothing bluish-green poly-cotton blend fabric. The back has a fake pod on the back, which Bulbasaur is so well-known for (we’ve always thought that it looks a little like an onion). The hood is designed to look like the head of classic grass-type Pokémon. All your child has to do is flip the hood on and it turns into an instant costume for his next costume party. Flip the hood down and it becomes a normal hoodie that he can add to his everyday apparel. Who knows! 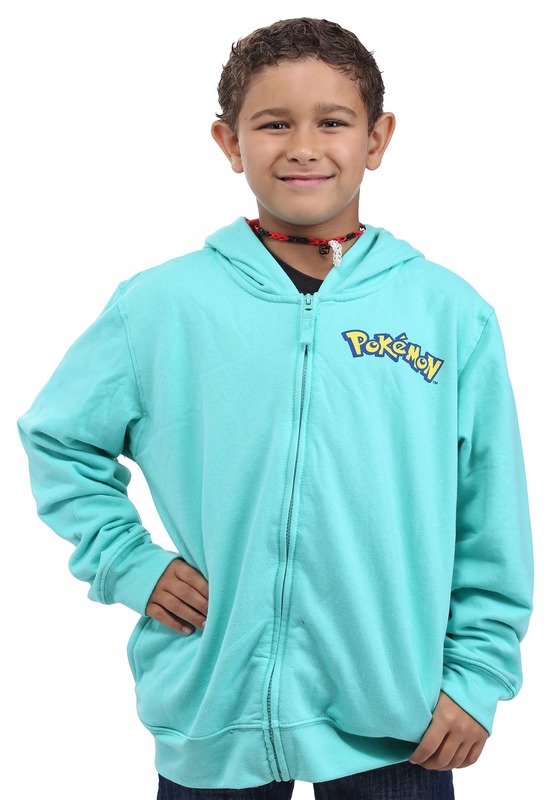 Your child might even be feeling confident enough to take on some bug-type Pokémon when he wears this hoodie!